• 4, white (or clear), blue, red, green, orange, yellow and purple 6mm beads/per bracelet=28 beads on each. 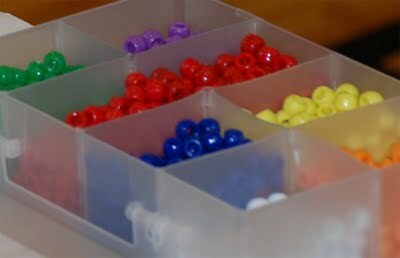 • 3, white (or clear), blue, red, green, orange, yellow and purple 8mm beads/per bracelet=21 beads on each. • Copy Value bracelet tag below to put in baggie. The best and most secure way to tie off is NOT a square knot. Tie right over left 5 times in a row and pull tight with each tie. Put a very small drop of super glue on knot. Cut threads off leaving about 1/8 inch of thread. Please don't put in bag until super glue is very dry. Leave overnight to dry before placing in bags. "Values to live by for a good, happy life!"